Let’s start with an introduction: Who is Rajan Khanna? What a difficult question. I suppose it’s redundant to say I’m a writer, so I’ll also say that I’m also a blogger, a reviewer and a narrator. I live in Brooklyn, New York. I have a passion for writing and books. Also for music and beer and airships and the creatures that live in the depths of the ocean. Your next novel, Rising Tide, will be published by Pyr in October 2015. It’s the second in your dystopian series. How would you introduce the series to a new reader, and what can fans of Falling Sky expect from book two? My simple explanation for the series is that it’s post-apocalyptic with airships. It’s a fast-paced series of adventures about an airship captain trying not just to survive in the post-apocalypse, but to find a greater purpose. Readers who read Falling Sky will know that Ben ended that book in a precarious situation. Things only get worse in Rising Tide for both Ben and Miranda. It’s still a fast-paced book, but the stakes are higher in this one. This story grew out of a short story that I wrote at the 2008 Clarion West Writers Workshop. The essential seed was an image I had of someone who woke up in an airship, floating above the ground, hungry but afraid to go down to the ground. I didn’t know why he was afraid or what was keeping him in the air, but exploring those iseas helped me find the story. My classmates at the workshop, and our instructor Mary Rosenblum, encouraged me to expand that story into a novel. That’s generally indicative of how inspiration works for me. I often will get an image — maybe inspired by another story or an article, some kind of seed idea, that eventually grows into the story. Of course the first book didn’t really wrap up all the threads I introduced so I wrote another one. I envision it eventually becoming three books. My earliest memories are of loving genre fiction. I was attracted to knights and wizards and aliens and spaceships from the start. Star Wars came out when I was three and I saw it when I was 4 and that became a huge thing at the time. There were also books like the Oz series and the Narnia books and it just grew from there. Oh, and my mother got me subscriptions to two comics at an early age – Marvel’s Star Wars series (like I said, it was huge) and Captain America. All of those had a profound impact on me that never stopped. That’s an interesting question. I love being a writer and I love creating stories and worlds and characters and both figuring out and telling those stories. But it can be a hard thing, sometimes. By nature there’s a lot of rejection involved. And when you’ve invested a huge amount of time in something that’s deeply personal to you, that can be a bitter pill to swallow. I think it’s important to be able to separate yourself from the work. As for the industry (and I can only speak of traditional publishing — I have no personal experience with self-publishing), I’m grateful for the support I’ve received. I value having an editor and a publicist and an art director to commission the amazing covers that I’ve been lucky to get. To be honest, the process changes from project to project, though not necessarily by design. My first novel was me figuring it out as I went – not just the story of that first book, but how to make it better, how to work with my editor to bring out the big moments and sharpen the character arc, how to even structure my time. A lot of it was learning the publishing process. For the second book I did something I have rarely ever done before — I outlined it. I didn’t have the same luxury of figuring it out as I went along, and I wanted there to be a structure there — at least guideposts that I could aim for. So I worked out the basic plot ahead of time and used that to write from. Not that that made it much easier, and not that that stayed exactly the way it started, but it helped me feel comfortable enough to sit down and write. Generally, though, I’m what they call a pantser. I sit down and just write and find the story that way. I research as I go (often putting down a placeholder for something that I might need to return to) and I try to keep my momentum up as much as possible. I try to write every day if I can, partly for that momentum, but I’m not averse to taking a weekend or a few days off to recharge when necessary. I always had vague ideas of being an author. I remember being young and imagining a book on a bookstore or library shelf with my name on it. I loved books and idolized authors so of course I wanted to be one. That being said, I didn’t really write my first piece of fiction until probably 7th grade. Most of my earlier creative endeavors came in the form of roleplaying games. 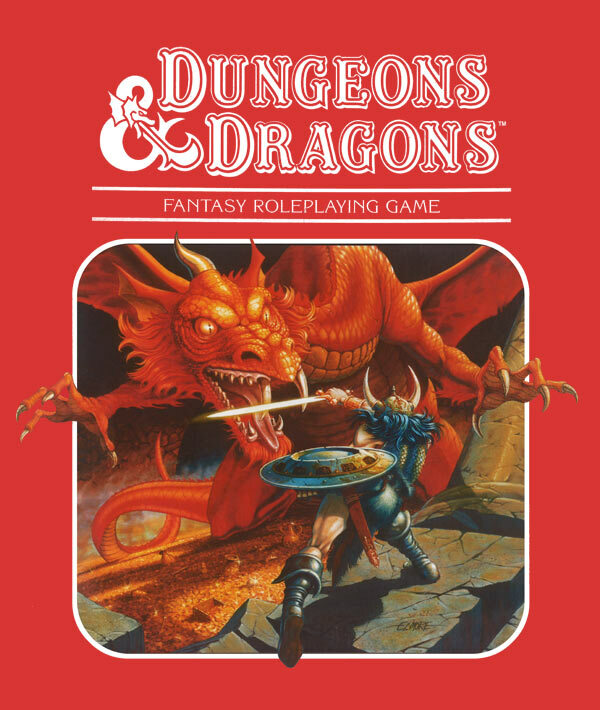 Playing Dungeons and Dragons as a kid, for example, gave me the opportunity to create characters and worlds and yes, tell stories, but they weren’t quite written. In 7th grade I was first asked, by a teacher, to write a story (along with the rest of the class) and I wrote something about Elves and Orcs and with a really bland morality structure, but I did it, and I enjoyed it. 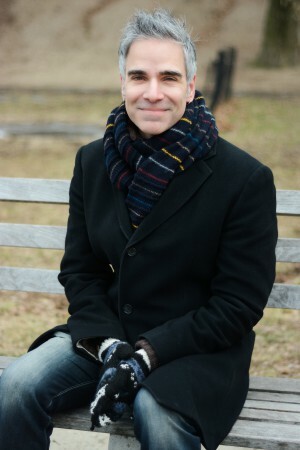 Later, I dabbled with short stories and with starting novels, but it wasn’t until my mid-20s that I started taking it seriously, with an aim to publish. I think the genre is always changing and evolving and I think that’s a good thing. I’m really excited by the recent movement to embrace diverse voices and open the field to people from all over the world and from different backgrounds and identities. I’m glad to see it happen. As for my work, I think right now I’m almost something of a remix artist. Tropes are part of the genre and I like to take some of them and mash them together. 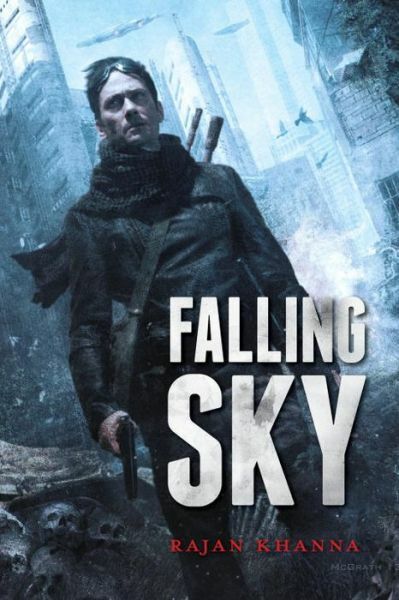 Falling Sky and Rising Tide, for example, mix post-apocalyptic themes with airships (traditionally a steampunk thing) and zombies (or something like them), with dashes of western and noir tropes thrown in as well. The tropes themselves might not be new but the arrangement of them hopefully is. I always have a few projects waiting in the wings. 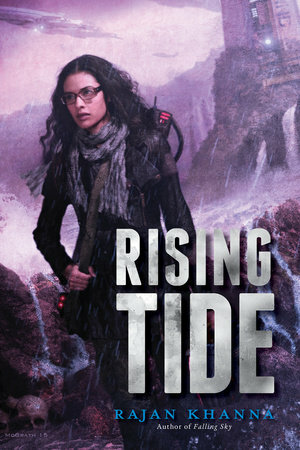 Rising Tide will be out October 6. In addition to a third book that will finish out that series, I’m currently working on a noirish YA novel and a weird western novel as well as a couple of screenplays and some short stories. I like to keep a lot of irons in the fire. I mostly read fiction these days. Like my writing, I tend to have a few books going at any given time. 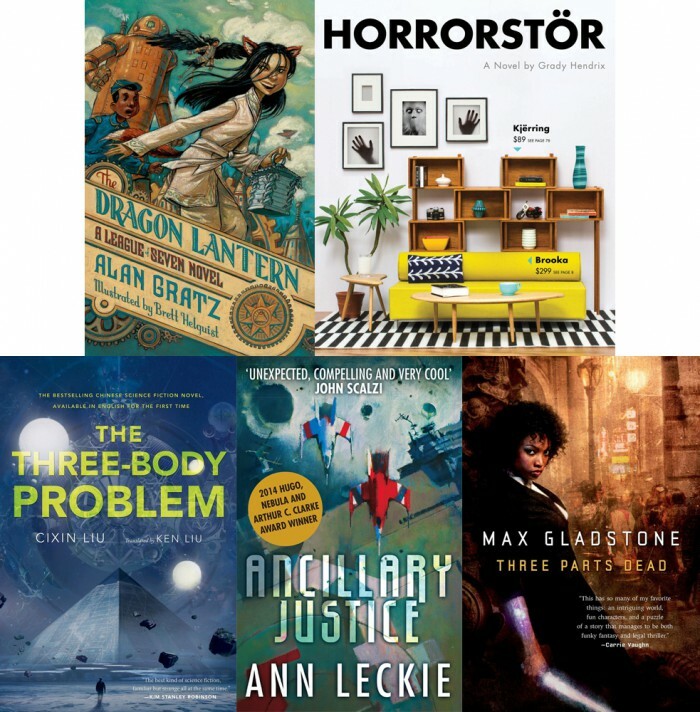 I am just finishing up The Dragon Lantern, book two in an excellent Steampunk middle grade series by Alan Gratz and Horrorstor by Grady Hendrix, about a haunted IKEA. My to-read list is massive but near the top are The Three Body Problem, Ancillary Justice, and Three Parts Dead. Hmmm… maybe that before I ever decided to be a writer, I was convinced that I would have a career as a musician. Music’s always been a part of my life, and I spent years playing piano and saxophone and guitar and I always expected to do more with that. It turns out I’m far more ambitious about writing. Well, Rising Tide’s release is probably at the top of the list. And I might end up regretting this, but I’m looking forward to the new Star Wars movie. As mentioned above, those movies (the original trilogy at least) were huge for me growing up and to see those actors and characters back again is something that has me excited. Could it blow up in my face? Sure. But I’m willing to give it a shot. Rajan Khanna’s Falling Sky and Rising Tide are published by Pyr Books. For more on his writing and novels, be sure to check out his website, and follow him on Twitter and Goodreads.